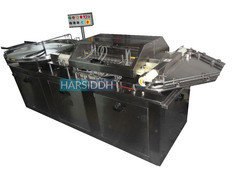 Manufacturer of a wide range of products which include ultrasonic vial washing machine. Owing to our rich industrial experience, we are offering a range of Ultrasonic Vial Washing Machine that is manufactured using supreme quality raw material sourced from the trusted vendors of the market. These are stringently quality tested under various parameters by our experienced professionals. Clients can avail these from us, at industry leading prices.